It is with great pride that we bring you KIRKLAND’S most recent publication on environmental protection and sustainable development. 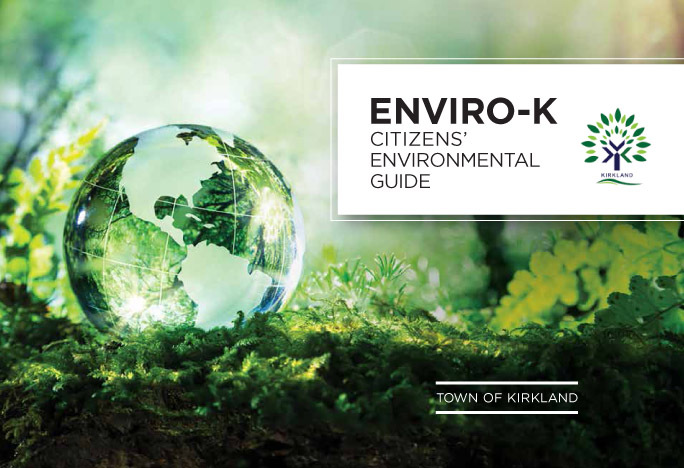 Product of several months of research and close collaboration, ENVIRO-K is intended as a user-friendly tool and handy reference guide for your household. We urge you to consult it on a regular basis and trust that the many valuable tips it contains will be of use in your home and will motivate you to contribute to the sustainable development of your community… A LITTLE BIT AT A TIME!